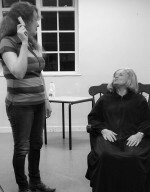 A twisted and comic story – this gripping play is a wild blend of outrageous comedy thriller and grand melodrama. Maureen is a forty year old virgin trapped with her manipulative mother Mags in an isolated Cottage in rural County Galway, Ireland in the 1990s. They have both survived many years of frustration, isolation and insults. Mag will do anything to keep her daughter waiting on her hand and foot- it is her duty! When Pato, a handsome local man returns from working in England, Maureen’s last chance of love is on the table. Mag has other ideas and her devious interference to prevent Maureen’s last chance of happiness sets in motion a frightening chain of misunderstandings, betrayals and violence. McDonagh’s other plays include ‘The Lieutenant of Inishmore’ and ‘The Pillowman’ and the hugely successful film ‘In Bruges’. IRISH eyes definitely aren’t smiling in The Beauty Queen of Leenane, Altrincham Garrick’s penultimate play of the season. Poor Maureen finds herself lumbered looking after her aged mother Meg, a demanding control freak desperate for a daughter fearful of being “left on the shelf” not to fly the nest. As far as stories go this one is as old as the hills but it never fails to capture the imagination. Watching this I found myself willing Maureen to escape the clutches of the old witch,?even if Maureen isn’t a particularly sympathetic character. That said, maybe Meg is at the root of her daughter’s past troubles andhas a case to answer. Director John Cunningham has drawn out some strong and believable performances from a tight cast and the confrontations between Meg (Sonia Dykstra) and Maureen (Tracy Burns) are memorable and at times highly disturbing. Barry Purves has come up with a set that captures the bleakness of rural Ireland to perfection. I admire the Garrick for being adventurous enough to stage plays like this one from Martin McDonagh. How frustrating then, to see far too many seats on opening night. Make sure you don’t miss this little gem, from the Emerald Isle. The Altrincham Garrick is a lovely, well-kept theatre just outside Altrincham town centre, therefore it was a shame to not even seen it half full on the opening night of their latest production; ?The Beauty Queen of Leenane?. Written by Martin McDonagh (probably most famous for writing the Oscar nominated; In Bruges), The Beauty Queen of Leenane is a story that mainly focuses on a mother / daughter relationship. Here we see the story of Mag (Sonia Dykstra) and Maureen (Tracy Burns). McDonagh perfectly captures the essences of these characters and unravels them at a steady pace. There is a constant battle between the pair to win the power of the household, which leaves them at loggerheads for most of the play. Loneliness is definitely a theme that most people can relate to. However, the extent that Mag goes to, to avoid being alone is cruel. Dykstra gives a solid performance as Mag.? The only thing that let her down was the accent – every now and then she would revert back to RP, which is definitely not the accent you would hear in the west of Ireland. The comic way in which Dykstra portrays Mag wasn?t perfect, however it did mean that the climax was completely unexpected. 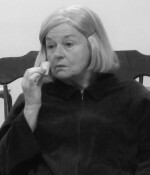 Burns had some nice moments as Maureen. Although her accent was much better than Dykstra?s, there were times I didn?t quite believe she understood what she was saying. The west of Ireland is the most rural part of the country, where it’s not uncommon to hear the locals speaking in Gaelic. Therefore, when they converse in English a lot of what they say is directly translated from Gaelic, and doesn?t always necessarily mean the same thing. Perhaps a bit more research would have helped. Burns does bring it back towards the end of the play, the moment with the poker standing out as a highlight. It was also nice how she made the audience feel sorry for her in the beginning, but that shifts during the climax. I have to take my hat off to Barry Purves, the Set Designer. The set for this production was one of the best I have seen. The detail that has gone into it is just superb, it looks like an old-fashioned Irish home. 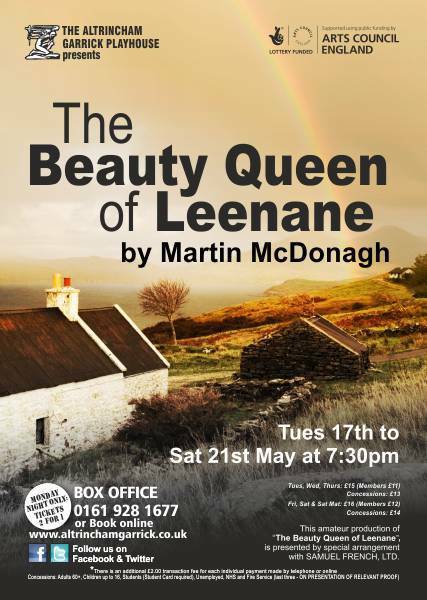 The Beauty Queen of Leenane continues at the Altrincham Garrick until 21st May. North West End permits comments to its reviews.